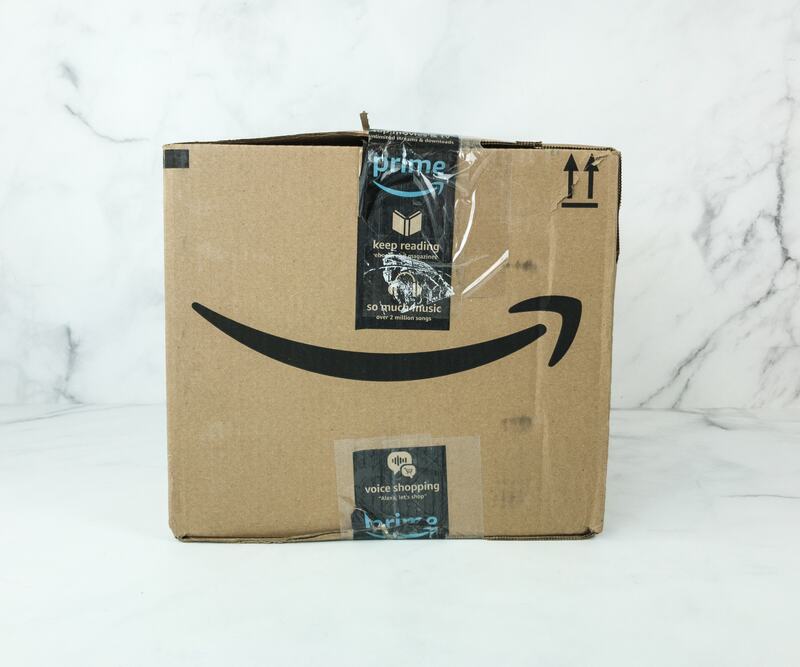 Amazon STEM Toy Club is a monthly subscription box service that delivers age-appropriate STEM toy that encourages any child to learn through play. The subscription costs $19.99 per month, and the theme of the month can be anything from natural sciences to robotics. 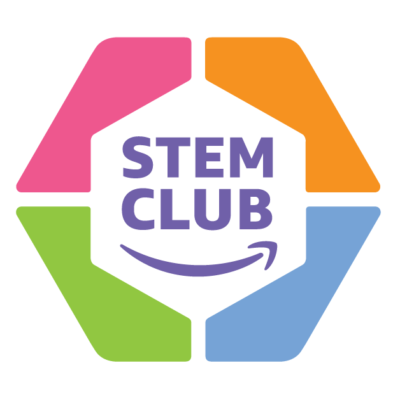 There’s always something new to discover in every box of Amazon STEM Toy Club! There are three age ranges available for this box: 3-4 year old, 5-7 year old, and 8-13-year-old. This is a review of the 8-13-year-old box. 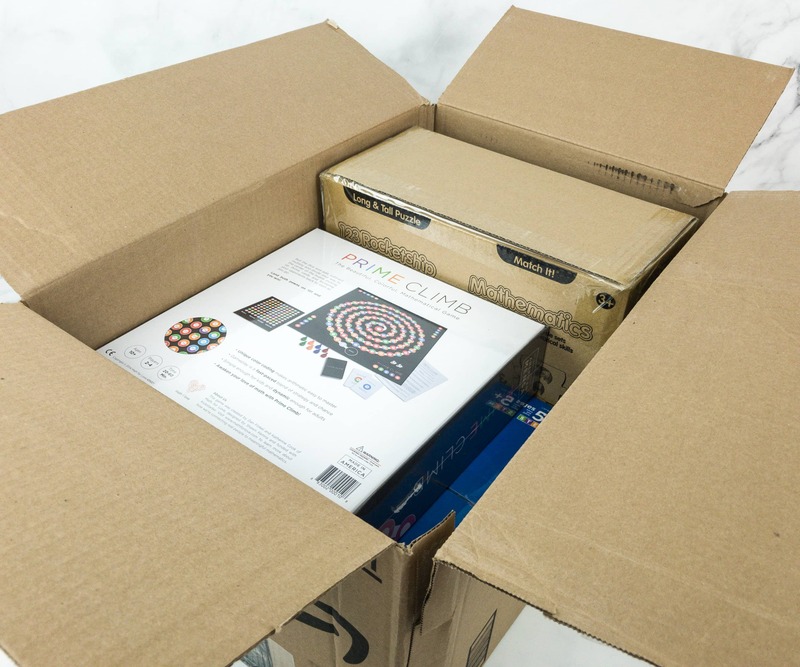 Amazon STEM Toy Club sent us a lot of fun and educational toys! 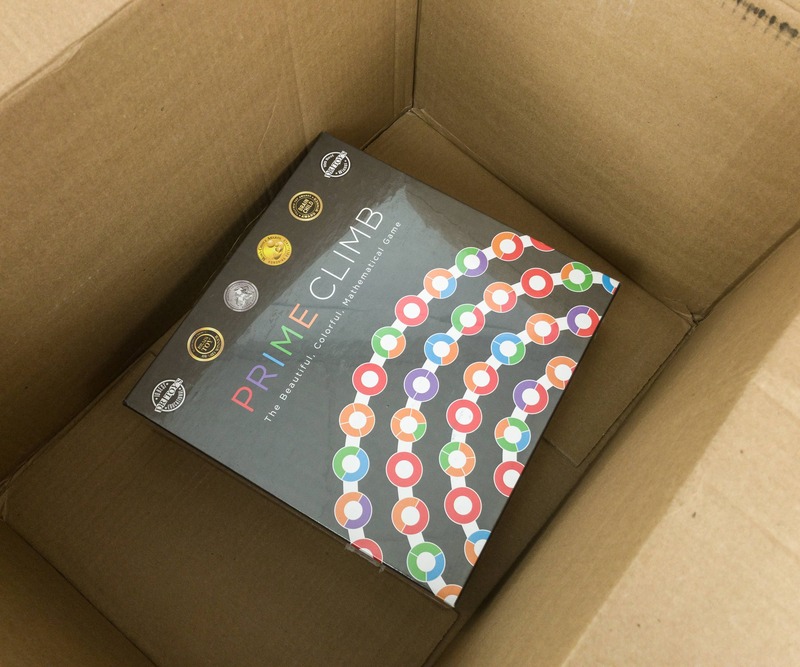 For this month’s age appropriate toy for 8 to 13-year olds, we got the Prime Climb Board Game by Math For Love! 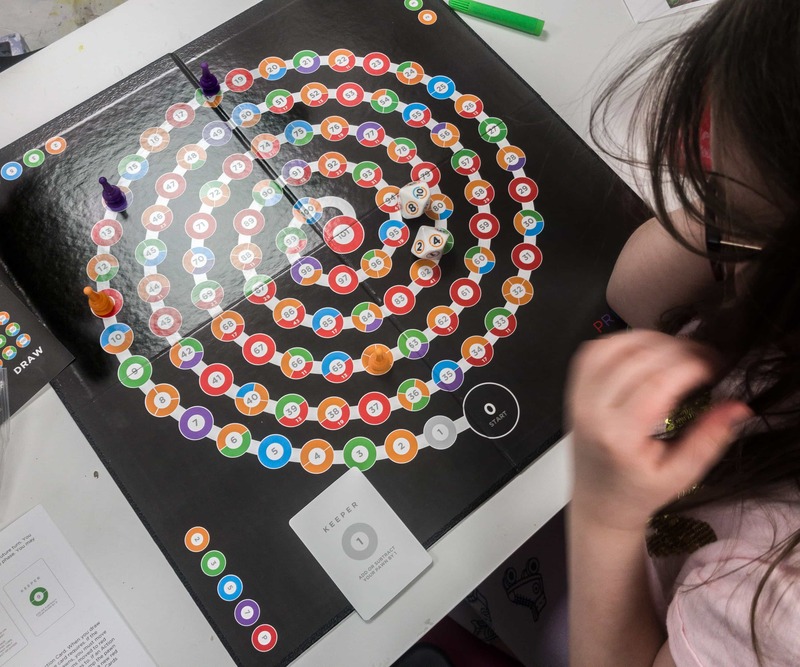 Invented by mathematicians-turned-educators, this math board game transforms equations into addictive play. 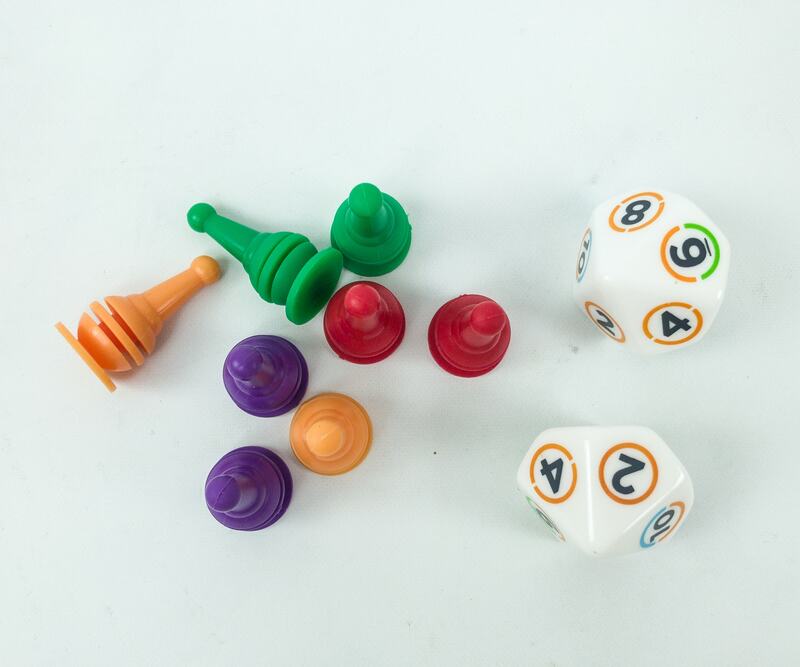 Add, subtract, divide, and multiply your way from zero to 101—gaining special powers and bumping opponents along the way. 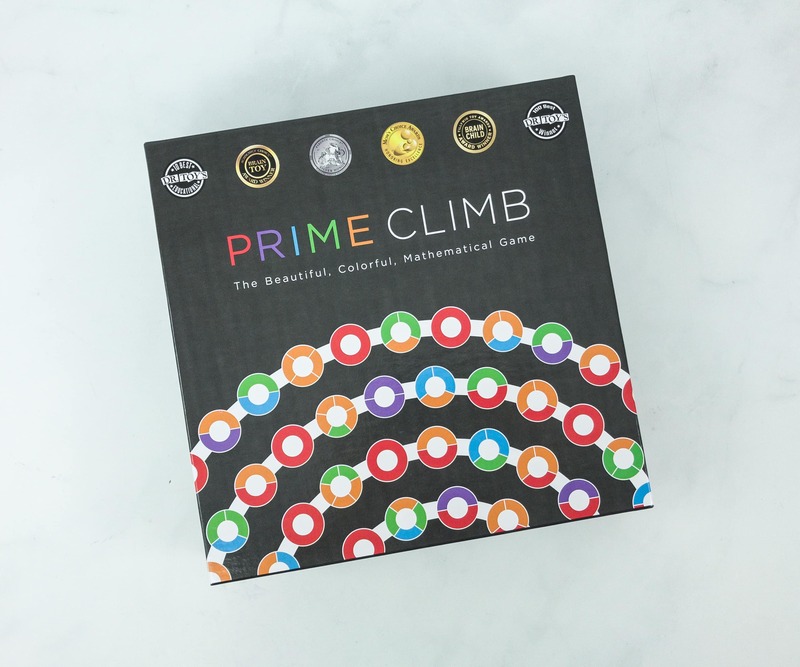 Get lost in play and more fluent at math with each climb. The back of the box includes some instructions on how to play and more information about the game. 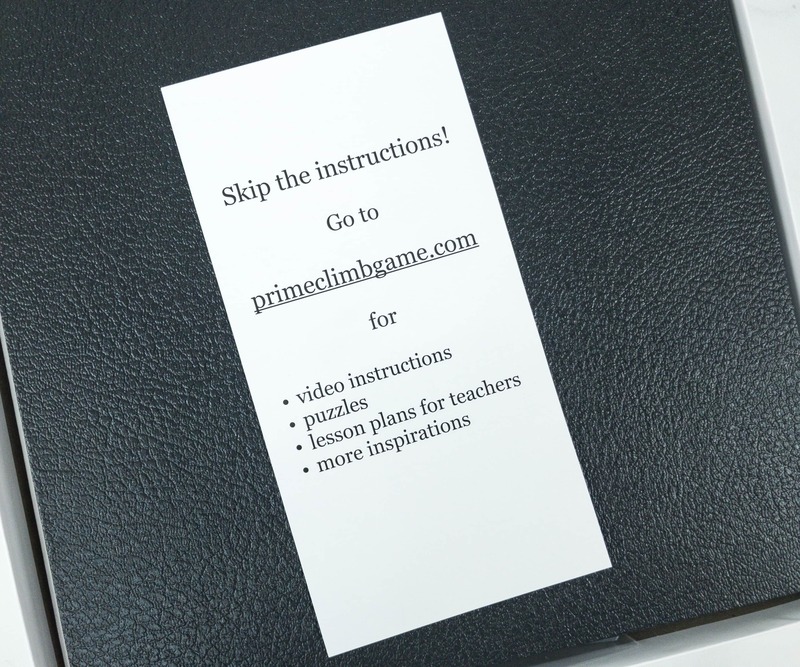 You can skip the instructions and go to the website to see video instructions, puzzles, lesson plans for teachers and more inspiration to make the play more interesting and fun! It has a unique color-coding scheme that makes remembering and learning arithmetic easier. 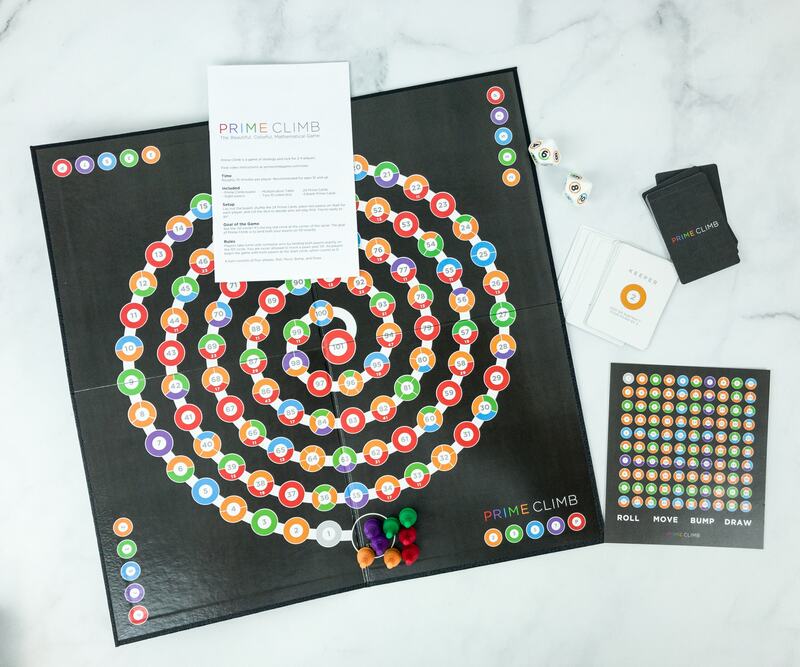 Aside from the gameboard, the box includes two dice and eight pawns. 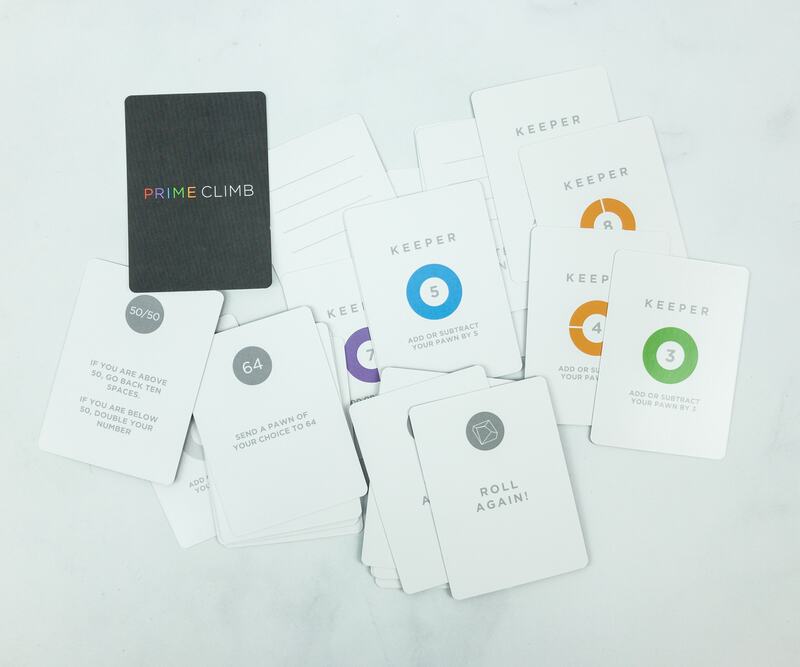 It also has 28 prime climb cards, instructions, and multiplication reference card. 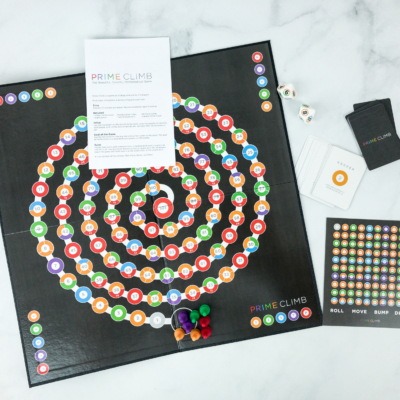 Here’s the dynamic and colorful 19″ x 19″ x 0.10″ gameboard. 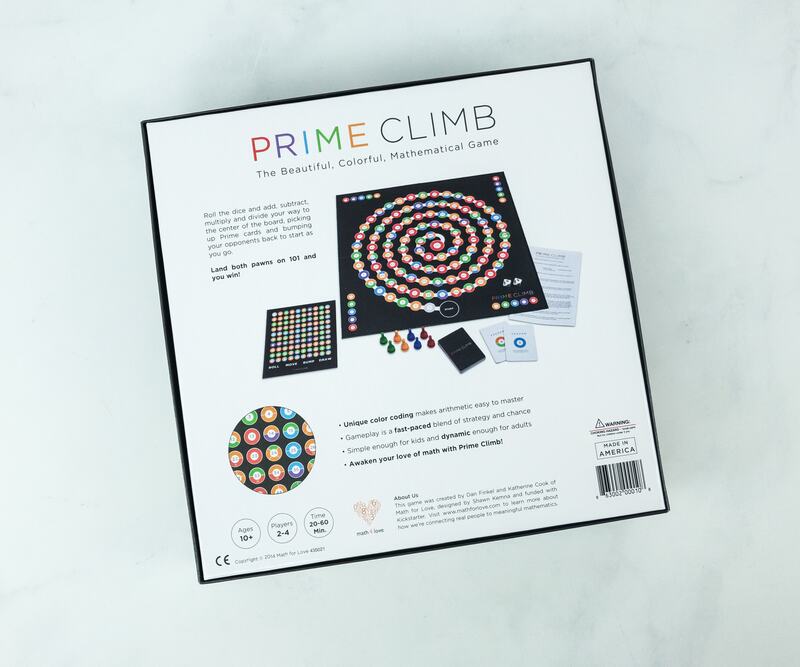 The game incorporates addition, subtraction, multiplication, and division into the gameplay, and it’s really easy to learn. Strategy and planninh are the keys to winning this fun and exciting game! 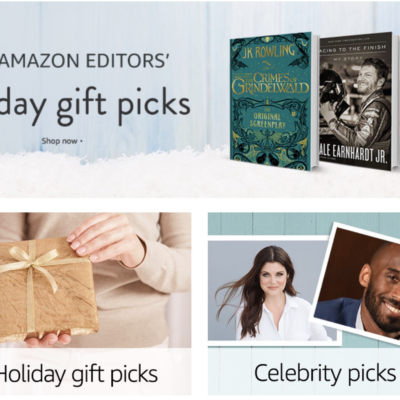 Or if you are lucky enough, you might also win! 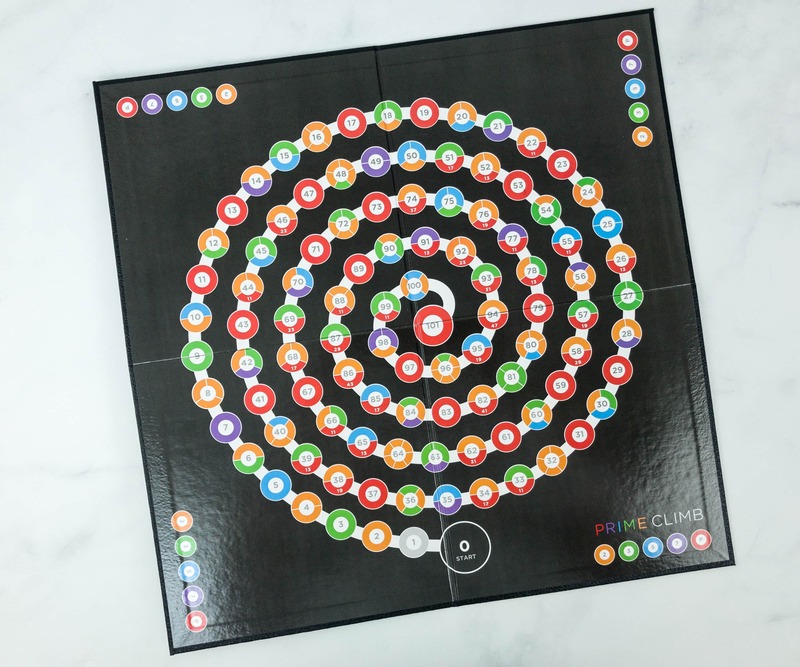 This month’s game is an effective way for the kids to learn simple arithmetic, memorize primes, and the game is designed to easily incorporate all the operations, and make them easier to master. It can be played by 2-4 players, and I also enjoyed the game when Ii played with my daughter. 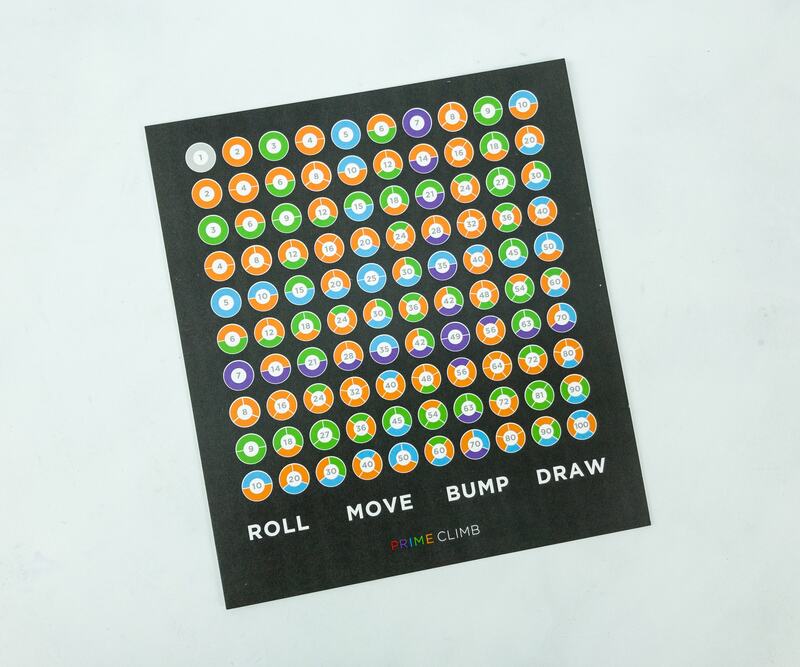 This activity is a fun and entertaining way to introduce the kids to mathematics, and make them realize that it’s a fun and really useful subject. I am giving this toy a two thumbs up not just for the cool design, but also for great and interactive gameplay! If you received something different than our family, let us know in the comments!